Hear how Northrop Grumman participates in a number of diverse technologies and how its ability to maintain a leading presence in these is enabled by its micro electronics development and manufacturing capability. Learn about the green belt mentoring process, the projects, and their combined impact on integrated circuit die production. 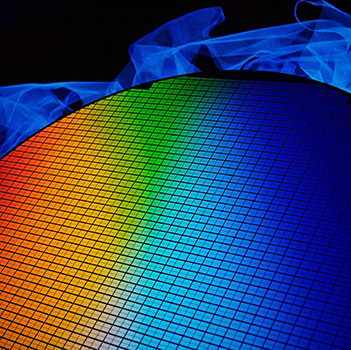 Northrop Grumman's Advanced Technology Labs (ATL) produces and delivers integrated circuits, as individual die and as completed microelectronics assemblies that contribute to the production of many of these products. Hear how ATL was faced a challenge to maintain pace with the anticipated growth in production requirements for a major program and how it needed to increase the production capacity of bottleneck processes. One alternative was through capital investment in incremental equipment, another was to find ways to increase the output from its existing processes. Hear how several engineers from ATL had enrolled in the green belt training course and to address the anticipated increase in die demand, these candidates were enlisted to concentrate their projects on improvements to throughput, capacity, and yield at ATL. Gain insights into how these small projects are making significant contributions to the die output and are allowing ATL to reliably achieve its program requirements. John King is a continuous improvement chief engineer responsible for implementation of large scale transformational improvement projects and training of continuous improvement techniques. He is an industry veteran with 25+ years of experience in manufacturing, operations, supply chain, and quality management in a number of industries including consumer products, automobiles, aerospace, communications, and capital equipment manufacturing. King is a six sigma master black belt, a licensed professional engineer, and serves on the board of directors of the Maryland World Class Consortia.